Golden Palm Tree Sea Villas & Spa was hosting this "Blog & Roll Food Carnival" and allowing us to sample their hospitality and wonderful array of food! This carnival was also presented as part of the Selangorlicious! campaign embarked by Tourism Selangor. 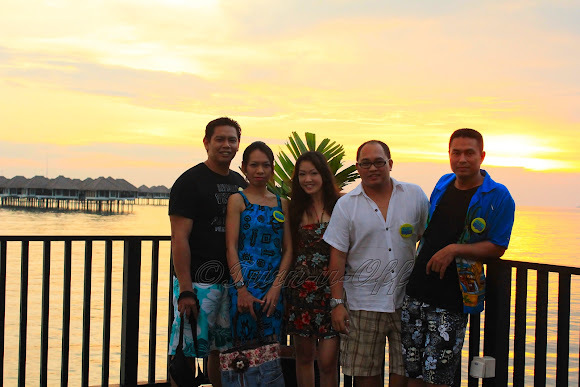 We were thrilled when we finally arrived at Sepang Goldcoast, that evening. Golden Palm Tree Sea Villas & Spa is stunning and we truly enjoyed ourselves. Well, the main objective of this get-together was for us to eat, drink and enjoy! I took TONS of pictures, as usual, so I'll let the pictures do the talking. #2 L-R: Aubrey, Niza, myself, Ralph and Henry. #3 There was a sunset photography competition and everyone was very excited to get out there and start shooting with their DSLR cameras. #4 Smiley Beach. Perfectly balanced between accessibility and seclusion, their tucked-away stretch of beach is still pristine, a paradise on earth. #7 General Manager of Tourism Selangor. #8 Ice sculpture, but what is it? Ice sculptures just look amazing but too bad they will eventually melt. One thing that puts beauty onto our tables is a fruit sculpture! #11 Roses sculpture carved from papaya. My camera allows me to play with the shutter speed setting, so taking fast moving objects is not a problem but you-know-the-reason-why, sorry for the blurred pictures! The highlight of the carnival was, of course, the buffet spread from FIVE Sepang Golden Palm Tree restaurants - Stimbot, Perahu, Sepoi-Sepoi, Bila-Bila and Hang Sang Lou. #53 One of the major attractions at the buffet spread was giant freshwater prawns. Remembering that first bite still makes my mouth water. It was juicy, succulent and oh, so flavorful. I was certainly spoiled for choice with the wide selection of mouth-watering food served! Well, the key to enjoying the scrumptious buffet spread is not to overindulge in one single dish, as there are many more to explore. A performance by Tourism Selangor entertained us while we were eating. #62 Here are the winners of sunset photography competition. Congratulations to the ladies! #63 Fancy a ride on this trishaw, anyone? #67 Ice kacang (Shaved ice) section. Finally comes my favorite part of any buffet – the dessert spread! Boy, oh boy, it was an invitation to commit the sin of gluttony, but I loved it to bits nonetheless. 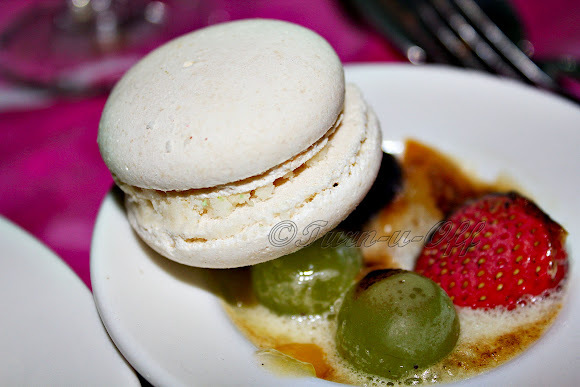 #70 The dessert section features an impressive selection of creations, including macarons, the "it" dessert of the moment. Life is uncertain, so eat dessert first! The desserts were worth kicking your grandma in the face for - Kidding! Well, overlooking the sea, Golden Palm Tree is offering all-day dining showcasing local as well as international favorites. Bila Bila Restaurant and Buloh Bar provide casual dining environments. For a more intimate dining experience, Perahu and Stimbot feature scenic views with its gourmet dishes. Hence, do make it a point to savor the delectable gastronomical offerings in any of their exclusive restaurants whilst enjoying the majestic view of the legendary Straits of Malacca. We chilled out, mingled and indulged in sumptuous food throughout the night. To sum it up, we had a great time at the beach party under a moonlit sky! Who doesn't love that? After filling up our stomachs like filling up big balloons, we walked around the resort and took some pictures. Oh, do check out my sunset pictures too!